Mr. Chowdhury is the Chief Executive Officer of LankaBangla Investments Limited, a leading Merchant Bank in Bangladesh and 100% subsidiary of LankaBangla Finance Limited. Mr. Chowdhury was previously the Chief Operating Officer for 4 years in the same company before being promoted to CEO. He has more than 15 years’ experience in large multinational companies including GrameenPhone, DHL and Mobil Jamuna Lubricants Limited. He also gained entrepreneurship experience by managing his own business ventures. A well-diversified work experience, entrepreneurial background, business savvy, industry experience and strong relationship with Clients gives Mr. Chowdhury an excellent choice to lead LankaBangla Investments Limited going forward. He is a people-oriented leader and is directly guiding the Company to become the top Investment Banker in Bangladesh. He completed MBA in Accounting from Chittagong University. Mr Imtiaz Alam Choudhury is serving LankaBangla Investments Limited, a leading Merchant Bank in Bangladesh, as Head of Discretionary Portfolio. He joined the team on 1 January 2018 as AVP. Before joining LBIL, Mr Imtiaz Alam Choudhury served Grameenphone as Senior Specialist, Business Intelligence. Prior to that he worked at ACNielsen. He has more than 15 years of experience in Research and Analysis. His vast expertise in Research and Analysis will help LankaBangla Investments going forward together with other departments. He completed both his BBA and MBA from IBA, DU. His hobby is reading books – mainly business related – and playing football. Mr. Shajalal Uddin Chowdhury Senior Manager, joined LankaBangla Investments Limited (LBIL) in 2007 and serving current role as Head of IT and Settlement. Before joining LBIL, he served Grameen Capital Management Ltd. He has more than 14 years of experience in IT and capital market settlements operation. He also has expertise in portfolio operation and helped LBIL going forward together with other departments by development and implementation of Information Technology features. Mr. Chowdhury completed his Master’s from National University of Bangladesh and also certified for System Management. Mr. Mohsin Ahammad Senioris currently the Head of Credit Administration Department. He joined Merchant Banking Department of LankaBangla Finance as Probationary Officer on 1 December 2008 and worked in various departments throughout the time. He completed his BBA and MBA (Accounting & Information Systems) from Business Studies Faculty of Dhaka University. He has been serving the capital market operation of LankaBangla for 9 years and huge experience in Financial Statement Preparation, Portfolio management, Discretionary Fund management & Credit administration. He is well conversant with Bangladesh Financial Reporting Standards, Compliance Laws of BSEC in secondary market. Mr. Hossain has been working in the capital market for more than 5 years. He had completed BSc. in Engineering in Electrical and Electronic Engineering from Khulna University of Engineering Technology and has completed his MBA from Institute of Business Administration (IBA), University of Dhaka with major in Finance. He joined in LankaBangla Investments Limited in 2012 in the research department. He is pursuing the CFA and passed Level I back in 2012. He gained the opportunity for working in various departments with diversified responsibilities during his career of more than 5 years. Some of his key achievements during this period are involvement in Advisory Services (such as Feasibility Study of 1st ever PPP based Economic Zone of Bangladesh, Demerger of Large Conglomerate, Valuation of ISP, VAS and Healthcare Industry, Transaction Advisory in repatriation of Foreign investment and various other Financial & Corporate advisories and Arrangement Services. he also has experience in IPO strategy formulation, Capital raising, Equity Valuation report, Macro Economic analysis, investment rationale preparation for various objectives. Apart from those activities he also designed the Merger Strategy, Investment Banking Business Strategy, IPO Marketing Strategy, IPO Readiness Assessment, business model design & reengineering and Operational guidelines for streamlining organizational process. Mr. Md. Najmul Islam is currently the Head of Finance and Accounts of LBIL. He joined the team in July 2012 as Assistant Manager and became Head of the Department in January 2015. Before joining LBIL, Mr. Islam completed his professional Chartered Accountancy Course from Rahman Rahman Huq-KPMG Bangladesh at February 2012. He has more than 8 years’ experience in Finance and Accounting especially on financial reporting, management reporting, Regulatory compliance of Tax & VAT and also in internal control and compliance through Internal Audit and Reporting. He is pursuing professional Chartered Accountancy Course from ICAB. He completed his BBA and MBA major in Finance from Department of Finance, University of Dhaka.s. Mr. Khandaker Tahmid Tishad is the Head of Legal, Operation & Compliance of LankaBangla Investments Limited. He is entrusted with the responsibility to oversee the legal and Compliance issues of the Subsidiaries under the umbrella of LankaBangla Capital Market Operations. In addition he also look after the Operation of LBIL which includes but not limited to HR & Administration. He joined LankaBangla in the year 2017. Prior to joining LankaBangla, he worked as an Associate at a corporate law firm. As a legal professional, he worked with numerous local and multinational banks, NBFIS, broker houses, corporate bodies of the country regarding acquisition, due diligence, corporate advisory, capital raising which includes but not limited to the issuance of bonds, preference share and commercial paper and was involved in plentiful large project financing of various modalities. 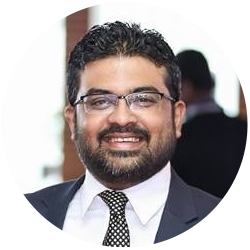 It is noteworthy to mention that Mr. Tahmid has worked as a legal counsel in the landmark automation project of Dhaka Stock Exchange. Mr. Tahmid has completed his LLM from University of the West of England, Bristol and LLB from University of London.